Luxury watchmaker Breitling, famed for its aviation-themed timepieces, has made its first foray into the smartwatch market with the $8900 Exospace B55, a “connected” device that combines the looks and style of classic watch with the some of the functions found in modern smartwatches. Unlike Tag Heuer’s similar-looking Connected Watch - a device so popular that the company was forced to increase its production – the Exospace doesn’t run Android Wear. The B55 is more of a traditional watch that can receive notifications, rather than an actual smartwatch. By using the accompanying Breitling iPhone app, users can, amongst other things, set the B55’s time and alarms, check the remaining battery life and choose a timezone. The watch has a large 46mm round face, Bluetooth connectivity, and a case made out of black titanium. It also features a hyper-accurate “SuperQuartz” movement, which is fine-tuned to compensate for things such as pressure and temperature to keep it accurate. Charging is done via a propriety USB cable that attaches to the side of the B55 with a magnet. A full charge should give the Exospace between one and two months of battery life, depending on how often the backlight is used. $8900 may seem like a lot of money for a smartwatch that doesn’t do much more than tell you when you’ve received texts and emails, especially when compare to the $1500 Tag Connected. But Breitling is pushing the B55 as a luxury watch with digital connectivity features, rather than an out and out smartwatch. 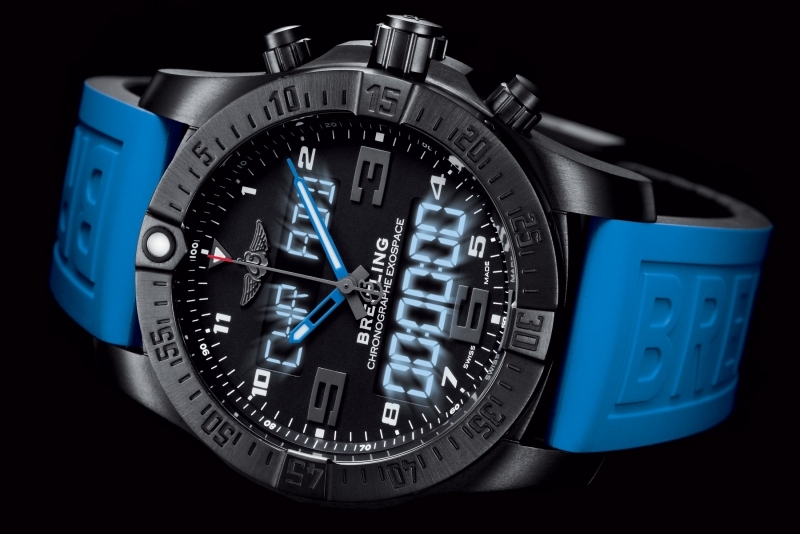 Additionally, next to most of the other watches in Breitling's range, the B55’s price isn’t that high.